If you’ve been reading my blog for a while now, you know that I’m a big supporter of a good night’s sleep. From establishing a calming bedtime routine, to creating a healthy sleep atmosphere, to choosing the perfect bedding, I’ve shared several different strategies to get a restful 7-8 hours of shuteye each night. 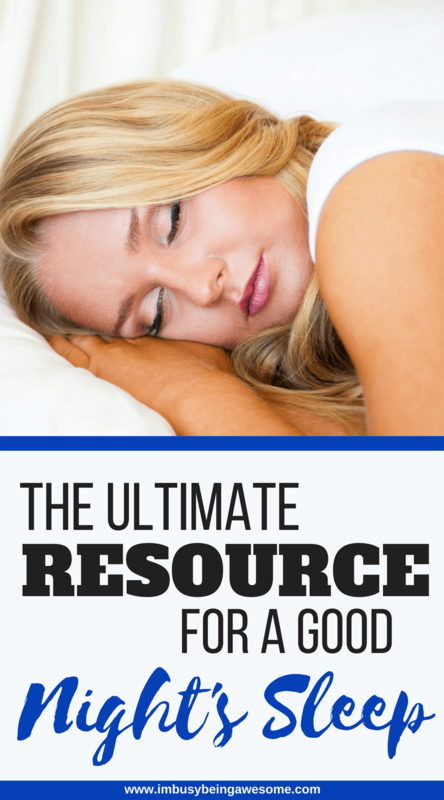 To make these resources easy to find, I decided to compile all of my best sleep strategies right here in one round up. So if you’re struggling to get a good night’s sleep, or you’re simply looking to improve your sleep habits, you’ve come to the right place. Check out the list, find what works for you, and get some sleep tonight! If it’s your goal to give each day your all – if you plan to work hard and play hard every single day – you need to start with a good night’s sleep. Period. And if you want to reach that 7-8 hour benchmark every night, I recommend creating a consistent bedtime routine. This post offers multiple strategies to get organized, unwind, and quiet your mind before bed. It helps you establish a personalized routine to fall asleep – stay asleep – and wake up feeling refreshed the next day. What more could you ask for? How about an added bonus? Yep! You’ll also find a free workbook to help you detail your own perfect routine, which you can find right here! As I dove into the world of sleep research, I learned a lot about the importance of creating a healthy sleep environment. While I knew that having a dark room with reduced noise was helpful, I had no idea so many other factors played a key role as well. So if you’ve established a bedtime routine, but you’re still struggling to get that restful night of sleep, perhaps it’s time to do an assessment of your sleep environment. Check out these three posts to help you do just that! No joke, these blankets are my number one favorite. They’re warm, breathable, 100% cotton, and easy to throw in the wash. I especially love them because they’re great for layering, which means they’re perfect for hot sleepers like me! I. Love. This. Pillow. It’s perfect for side, back, or stomach sleepers, because you can adjust the height for perfect spine alignment. My favorite thing about this pillow, however, is its cooling ability; it keeps your face cool all night long. Amazing. I can’t tell you how much of a difference this little machine made on my quality of sleep. If you’re a light sleeper like me, or you find yourself waking up from noise disruptions, I highly recommend trying one out. It provides a soothing sound of air that blocks outside noise and helps quiet your mind. I have this basic model with two levels of sound, which I love. But if you’re looking for something with more variety, there are many other great options out there, too! If you’ve ever slept on a sofa sleeper or an old sunken bed, you don’t need me to tell you a good mattress makes all the difference in your quality of sleep. Admittedly, finding the perfect mattress can be a bit overwhelming. But if you do your research beforehand, it’s a pretty straightforward process. I’ve mentioned Best Mattress Reviews in the past, and I’ll mention it here, too; it’s a great resource that provides thorough reviews of different mattress brands. Simply scroll through the reviews and find the perfect bed for you! The final item on my list, a light alarm clock, is a game changer for both falling asleep at night and also for waking up in the morning. What I love about this light is that it has a dimming “sunset” to help you unwind in the bedroom while reading or meditating before sleep. And in the morning you wake up feeling refreshed due to the 30 minute “natural” sunrise. I could go on and on about my love for this alarm, but I won’t. Instead, I’ll just give you the link and let you check it out for yourself. But seriously…I love this alarm. 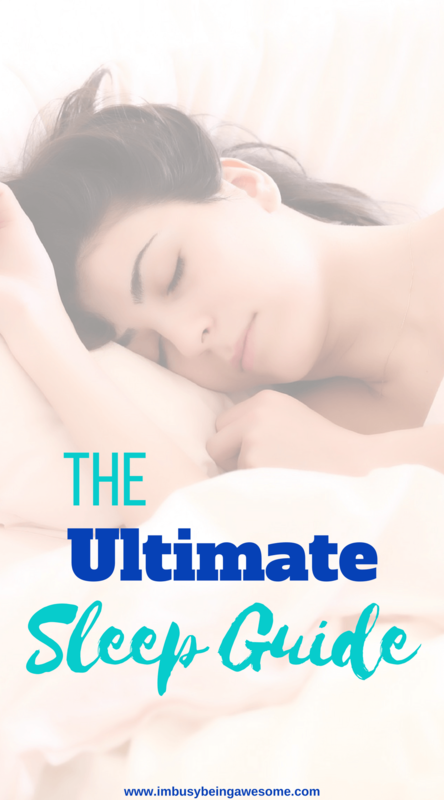 So there you have it, a complete list of sleep strategies all in one convenient place. Pin it now and have it ready for the next time insomnia hits. What are your favorite sleep strategies? Do you use a bedtime routine? Have you ever tried a wake-up light alarm? Do you get 7-8 hours of sleep a night? Let me know below! These are great tips but I really like the idea of a ‘Wake up light alarm’. Seems like something that would be great for time change and Winter. YES! I absolutely LOVE it once Daylight Savings Time ends and it’s so dark in the mornings. I can’t sleep without my white noise machine! And you’re right- a new, soft pillow makes such a difference! It’s amazing how much a difference that little machine makes, isn’t it? Having the right pillow makes all the difference in my opinion! Thanks for sharing the link to those sheets. I’m always on the hunt for the perfect sheets. Unfortunately, the only strategy I have for getting to sleep is exhausting myself throughout the day. I am out like a light as soon as my head touches the pillow. It sounds like the approach works well for you! Plus, just think of everything you get accomplished working so hard each day.